Known to many konoplevodami with record harvests and unusually simple pattern of growing Mazar repeatedly won prizes at cannabis competitions. Now before You elite marijuana seeds Mazar, fully feminized, with exceptional properties of avtosvedenie. Seed ja offers to buy cannabis seeds is not expensive, with shipping worldwide. Planted in the garden this plant, You will be able to watch the flowering of 8 weeks. 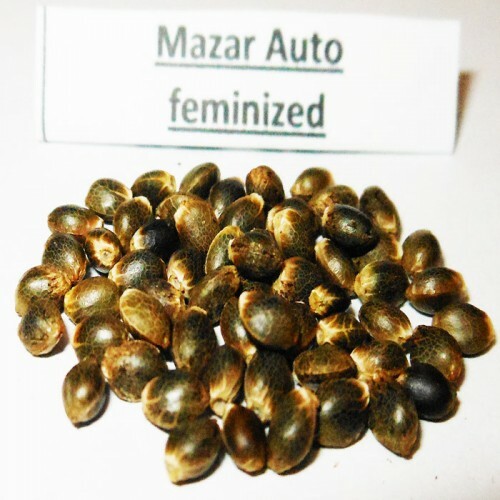 During growth, the Auto Mazar Fem bushes do not grow very high, only 50 to 80 cm, but have a fluffy texture. Around the main Cola grow many lateral branches, the plant is similar to a Christmas tree. Wide indica leaves with busy deep color complement the image. After eight weeks of growth begins flowering varieties. Buds, Mazar Auto feminised, large dense and resinous. Hemp is very high yielding. All from one Bush to collect 150 g of inflorescences. 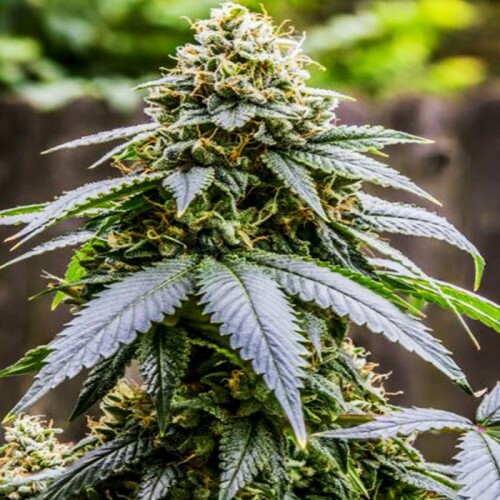 Many growers grow this marijuana effortlessly. The variety is absolutely not whimsical. It is recommended to grow indoors, but outdoors it feels more than great. Auto Mazar is immune to mold and fungi. The ability to avtosvedenie allows you to not worry about correct lighting modes. And geminisarahanne seeds reproduce only a uniform, high-quality women's bushes marijuana with a high THC content.